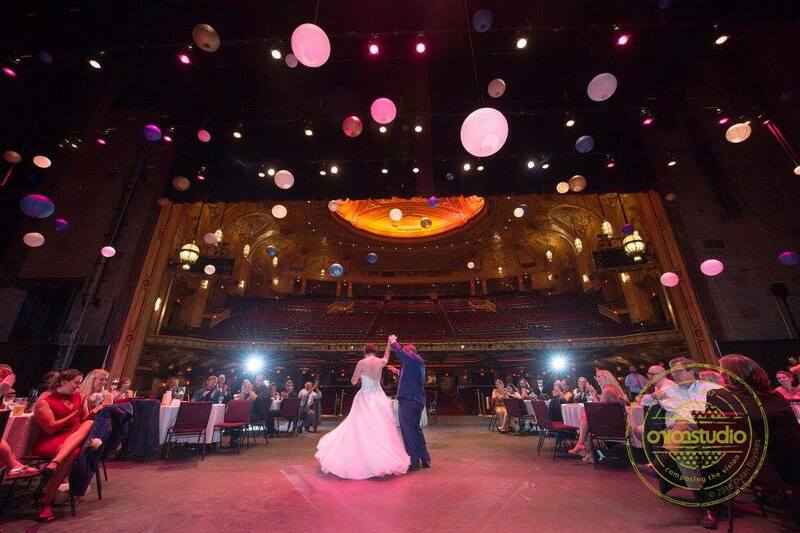 Host your wedding at Shea’s Buffalo Theatre. In this elegant space with majestic backdrops, let the charm of this historical building enchant you and your guests on your special day. Shea’s spectacular 2 floor lobby provides gorgeous backdrop for wedding ceremonies, receptions and cocktail hours. 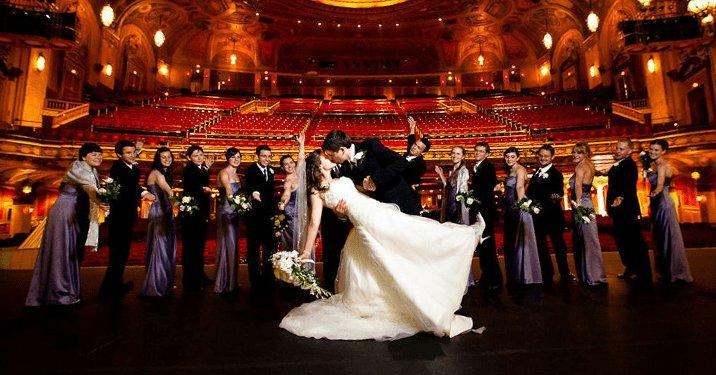 Grand & Petite Lobby Rehearsal, Ceremony and Reception: 5,300 ft.
Grand Lobby Rehearsal and Ceremony Only: 1,100 ft.
Shea’s stage allows you and your guests the opportunity to be stars! This truly magnificent historical space is the ultimate setting for the wedding reception of your dreams. 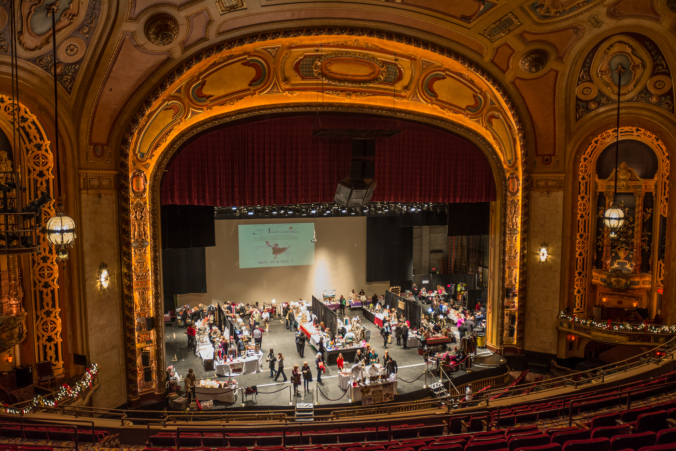 All Main Stage events include use of Shea’s Grand & Petite Lobby. 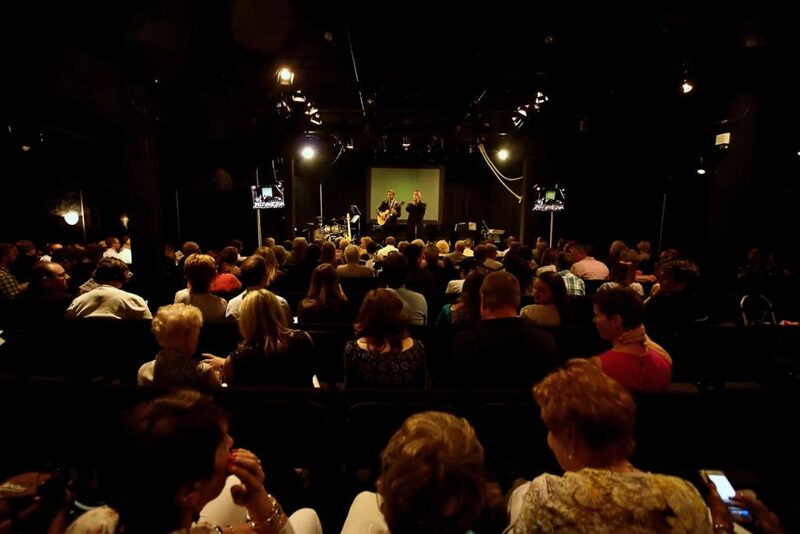 Smith Theatre We will host multi-sized events from intimate gatherings to large parties to seminars. 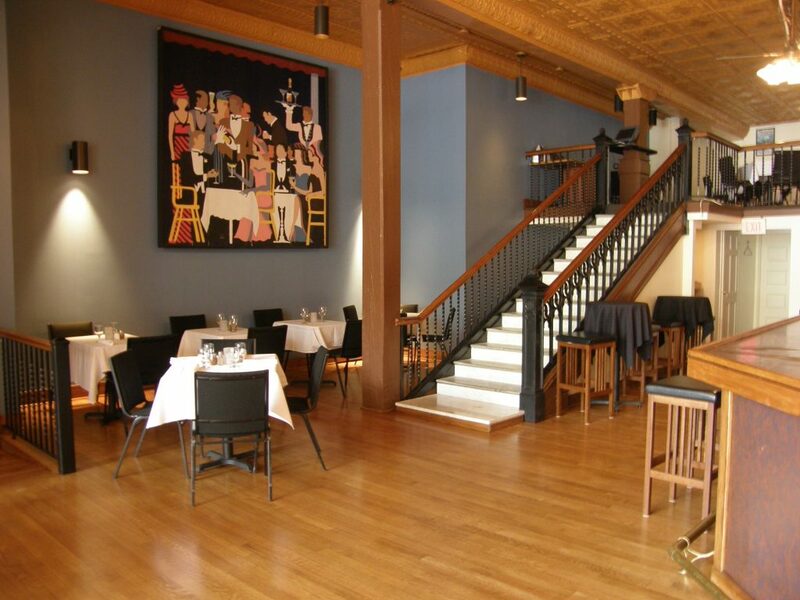 This space is ideal for private corporate meetings or luncheons in a strategic downtown location. 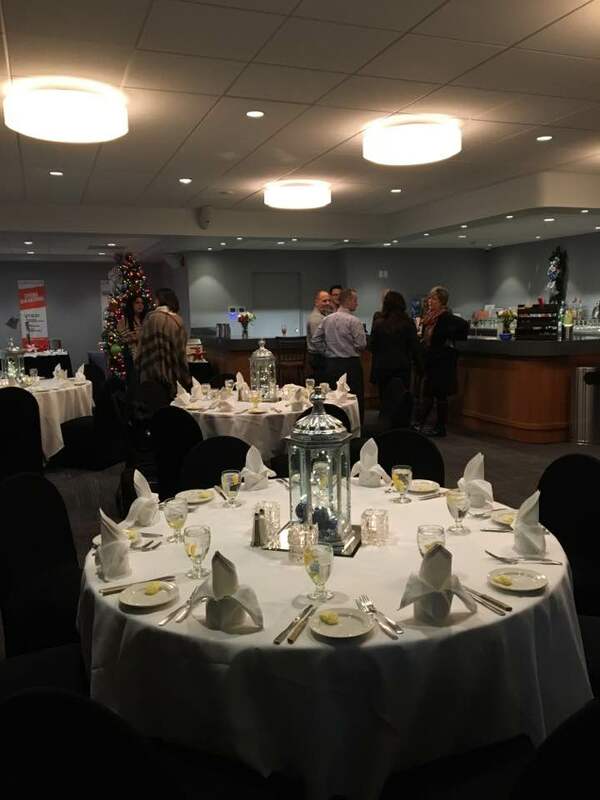 This black box theatre can be transformed for anything from award ceremonies to trade shows to birthday parties. All Smith Theatre events include the use of Shea’s Bistro & Bar. 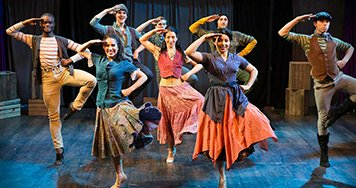 Smith Theatre: 2,280 sq. 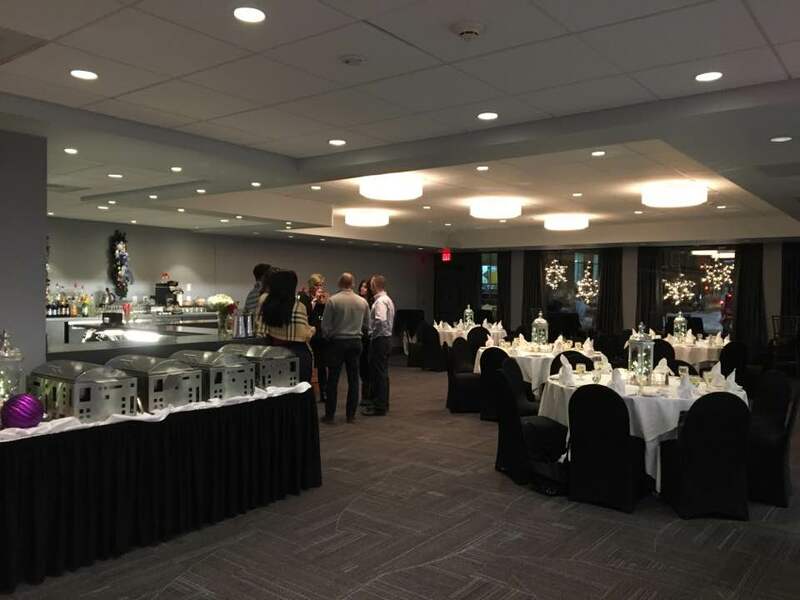 ft.
Conveniently located between the Shea’s box office and Shea’s Smith Theatre, Shea’s Bistro & Bar is ideal for corporate and private events including pre-show dinners, rehearsal dinners, showers, happy hours, family events & meetings. Shea’s Bistro & Bar: 1,080 sq. ft.
Shea’s Bistro & Bar wants you to start your night of entertainment off right. Our restaurant offers a three course Pre Fixe menu that incorporates local produce with seasonally inspired dishes. Enjoy a full service dining experience that will deliver you to the show on time. 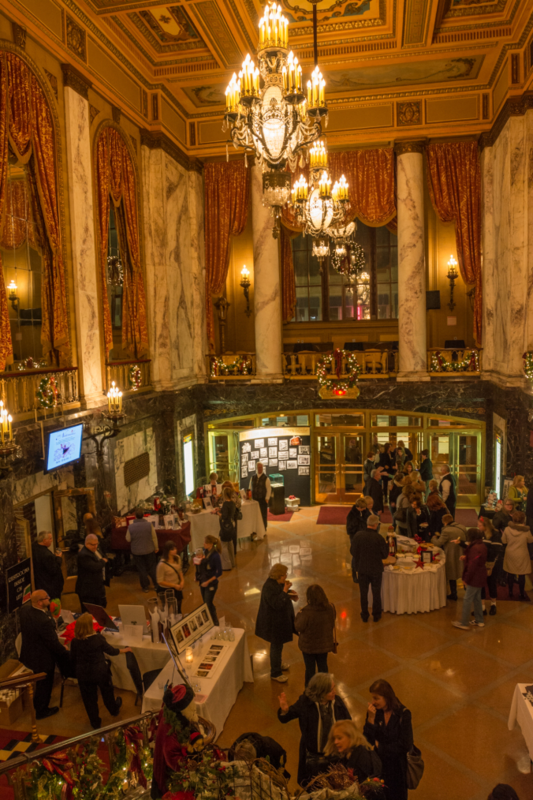 Located conveniently next door to the Shea’s Performing Arts Center Box Office, you and your guests can enjoy drinks, dinner, and dessert all under the same roof of Shea’s. Shea’s Bistro and Bar is open prior to our Broadway performances. Dinner Service Reservations can be made by calling our Reservation hotline at 716-856-3260 or by E-Mail at RScott@sheas.org. 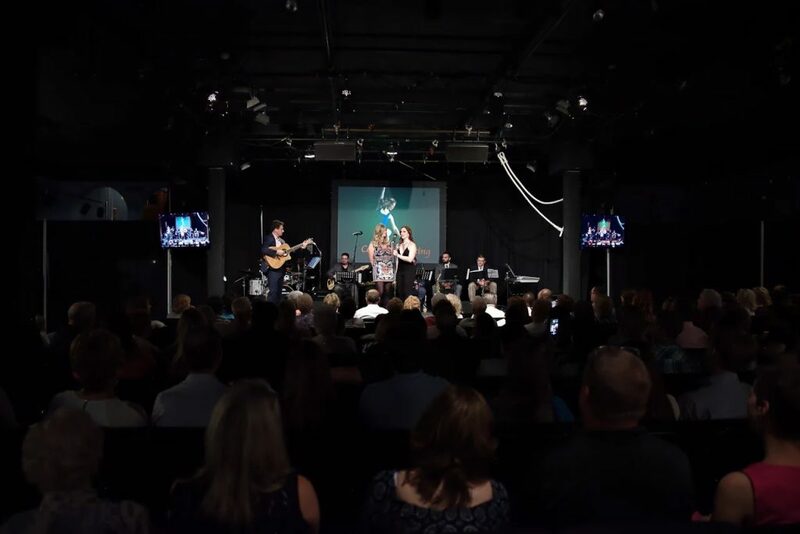 Shea’s 710 Theatre’s space is an ideal venue for speaking engagements, seminars, presentations, rehearsal dinners, birthday parties, showers and more. The cozy theatre will make your guests feel warm and welcome. Shea’s 710 Theatre: 1,500 sq. ft. 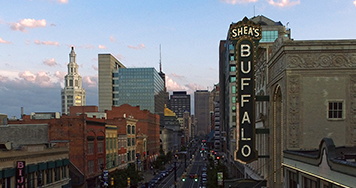 Host your next event or meeting at Shea’s Buffalo Theatre. Shea’s offers a variety of different spaces to accommodate every need: Grand & Petite Lobby Shea’s spectacular 2-floor lobby provides a gorgeous backdrop for weddings, receptions, cocktail parties, expos and fundraising events. 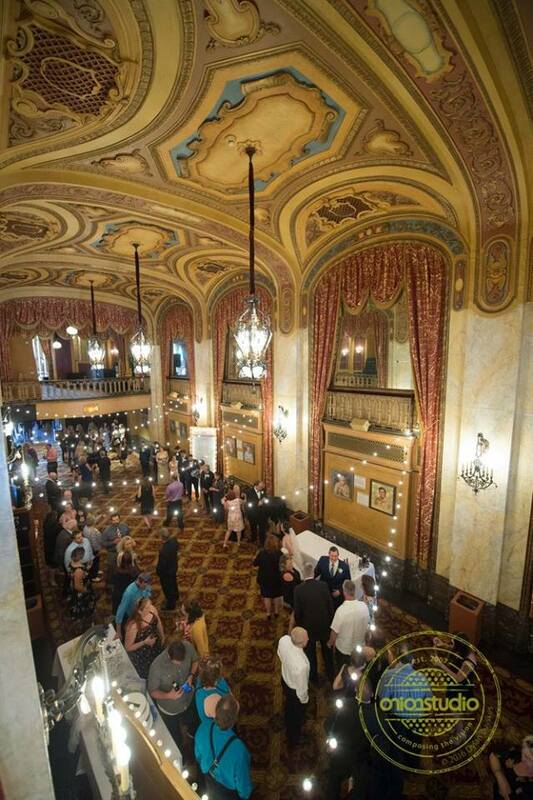 Grand & Petite Lobby: 5,300 ft.
Main Stage Shea’s Buffalo’s stage allows you and your guests the opportunity to be stars! This truly magnificent historical space is the ultimate setting for large luncheons or dinners, galas, weddings, meetings, seminars, presentations, fundraising events and more. All Main Stage events include use of Shea’s Grand & Petite Lobby.